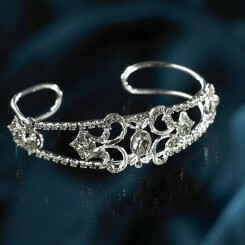 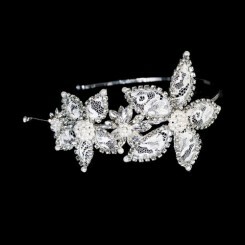 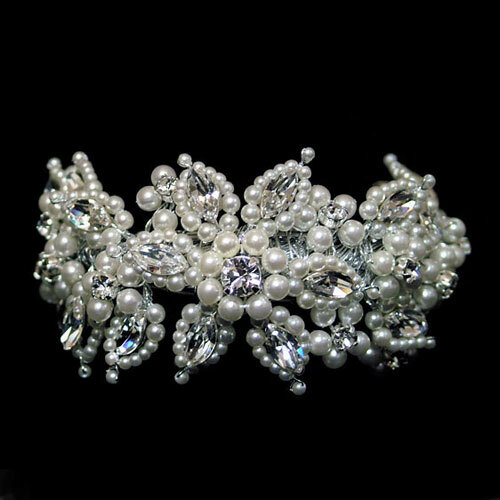 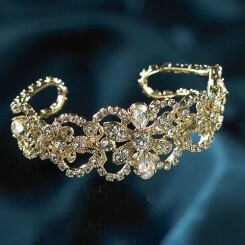 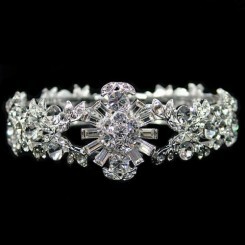 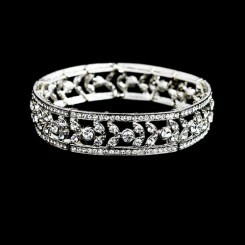 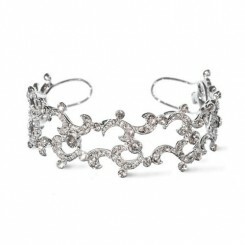 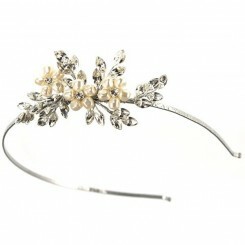 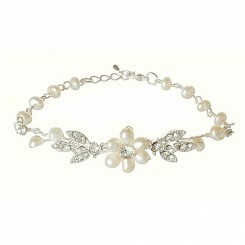 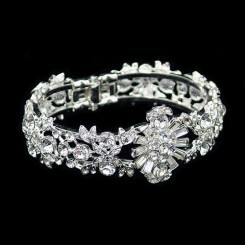 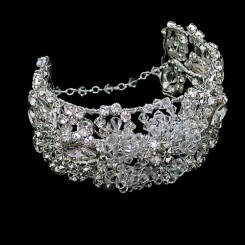 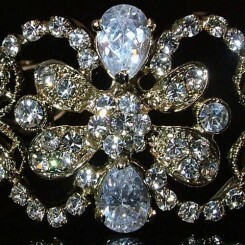 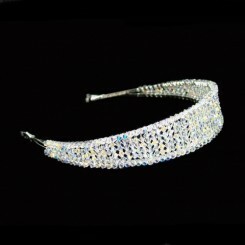 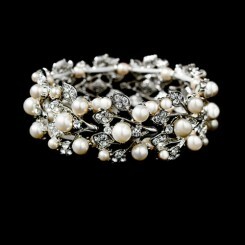 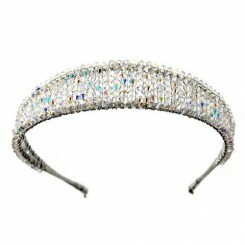 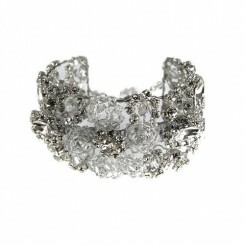 Ellie K Pearl Wedding Bracelet is a gorgeous, feminine cuff style bridal or occasion bracelet. 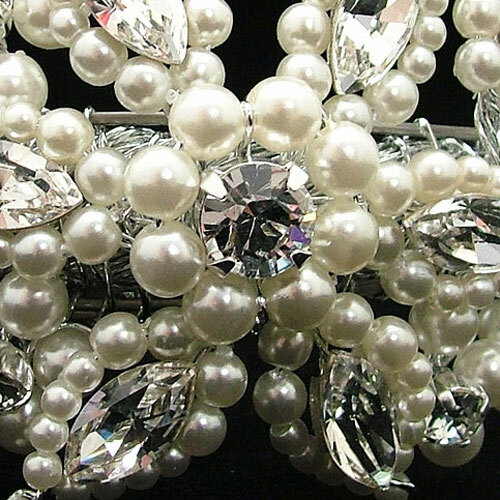 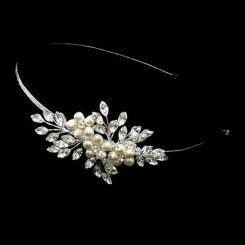 Sparkling round and marquise cut Swarovski crystal diamante is teamed with glossy ivory pearls in a delicate and romanitc floral design. 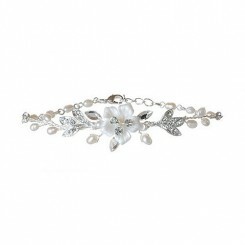 The detail of the Ellie K Pearl Wedding Bracelet measures approximately 4cm wide at its widest point and has an adjustable chain fastening which is beautifully finished with six tiny Swarovski crystal bicones, interspersed through the chain. 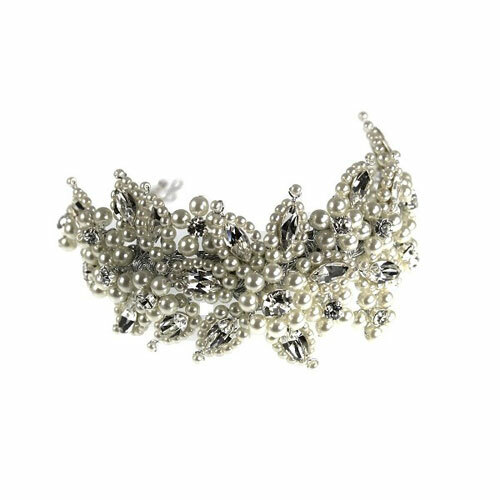 This fabulous bracelet by Ellie K works wonderfully as a standalone piece but is designed to also perfectly complement the Ellie K Isla headband which is shown in the last photo. 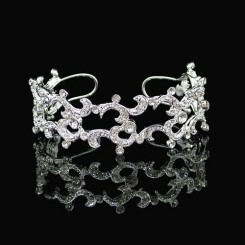 For further details or to purchase Isla click on the thumbnail photo on the right hand side. 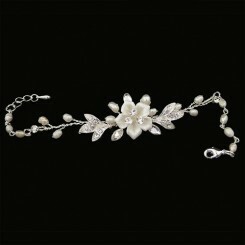 Ellie K Pearl Wedding Bracelet LN16 is only available in ivory/silver.